Children have a very special place at Plymouth. Our programming teaches the Biblical story while maintaining a progressive and global perspective. We emphasize the arts and social justice from a young age. During the September to May program year, educational options for all ages occur from 10:00 to 10:50 a.m. Church School programming will occur in the Education wing. We ground our study of God’s ways in Christian and Hebrew scripture, interfaith perspectives and faith stories. We are open to questions about faith and equip children for their lifelong faith journey. Allowing the freedom of the seeker of any age is a core value of our progressive Christian community, as is respecting all faiths. Each week, the curriculum will be tied to the main themes of the scripture and sermon of our worship services, providing a cohesive experience between worship and education. In order to best serve the variety of learning needs of our children, every class every week will have opportunities for movement activities, art, stories or songs and games, as well as equip the children to apply lessons learned in church into their everyday lives. We embrace diverse families—families with two moms, mom and dad, two dads, a single parent, or those with gender-variant family members, including children—all are welcome at Plymouth Church. Gather at 9 a.m. Sundays in the Chapel for a 45-minute service featuring jazz-influenced music and the same scripture and sermon as at 11 a.m., starting Sept. 9. On Sundays, from 8:45 a.m.–12:15 p.m., children 0–3 are cared for by trained staff and volunteers in room 209, starting Sept. 9. 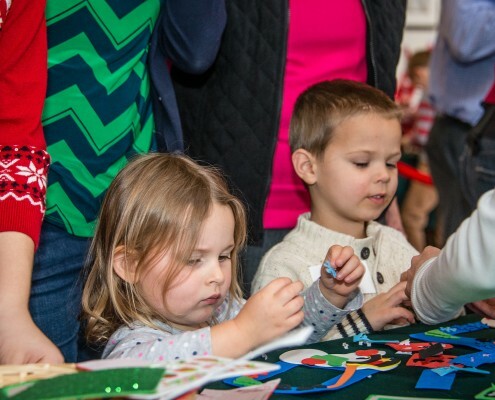 Throughout the year, children and their families participate in a variety of special activities, including a Halloween party for all ages, family food drive, Christmas festival, Parents Night Out and more. Plymouth offers opportunities for children to sing in a choir, ring handbells or participate in dance. Visit the Music page for more information.